Arts Access Aotearoa celebrated its 20th anniversary on Wednesday 1 July with a celebratory lunch for 75 guests at CQ Hotels Wellington on Cuba Street. Hosted by Dame Rosemary Horton DNZM, QSO, QSM (patron, Arts Access Accolade) with Richard Cunliffe (chair of the board of trustees), the lunch was an opportunity for current and past friends of Arts Access Aotearoa to reflect on the achievements of the past and enjoy the landscape before embarking on the next 20 years. "Twenty years is a long time and we have touched many people over this time - staff, trustees, stakeholders, artists and funders," Richard Benge Executive Director said. "What a pleasure it is to be here today and to be part of this celebration of Arts Access Aotearoa’s first twenty years." 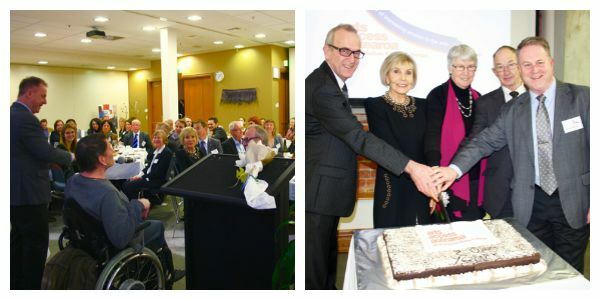 Reflections were provided by key friends Grant Robertson MP, Philip Patston (inaugural Arts Access Accolade) and Penny Eames (founding executive director). An encouraging final address was given by Dame Rosie Horton. The invited guests enjoyed a delightful three course meal courtesy of the excellent banquet staff at CQ Hotels which was topped off with delicious chocolate anniversary cake. "Over the last couple of years I have become involved in Arts Access Aotearoa and got to know Richard, who with his team have created an energetic and inspirational organisation, which I am so proud to be a patron of. "If you love the arts as I do, if you enjoy beautiful music, thought provoking theatre, insightful exhibitions or exciting entertainment, then you’ll agree all this should not just be for the able bodied. The arts are for everyone and everyone needs to have access to them in every way. "Creative artistic expression is important to nourish and encourage our hearts and minds. The arts give us identity, connection to others, hope and understanding. A community is stronger if people are able express themselves creatively - whether they have a disability or are going through rehabilitation in prison. "To have access to the opportunity to reveal and follow your talent and express your feelings and cultural identity - is essential in today’s world. I’m very excited about the future for Arts Access Aotearoa. Its mandate to make the arts in New Zealand more accessible and inclusive is important in our development as a nation. 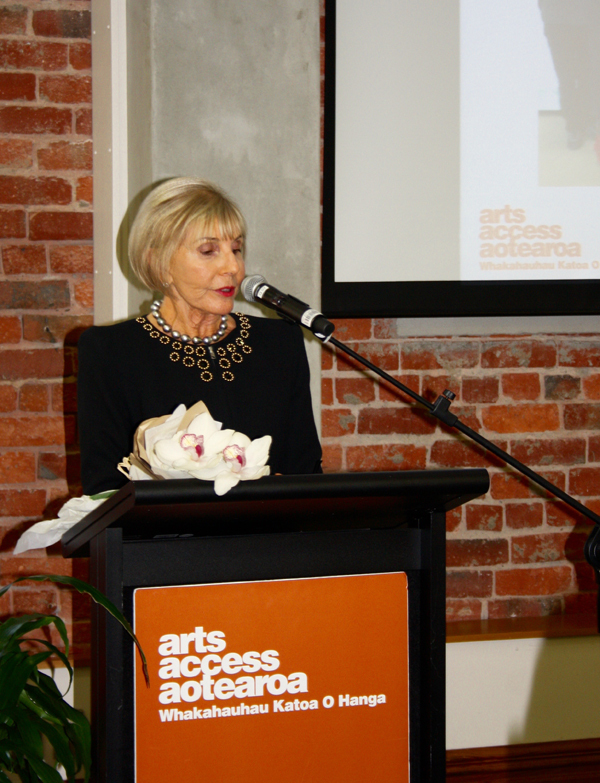 "The achievements of Arts Access Aotearoa in the next 20 years will be amazing. We are all part of this important journey. Thank you for your support." Original generation time 1.9078 seconds. Cache Loaded in: 0.0316 seconds.